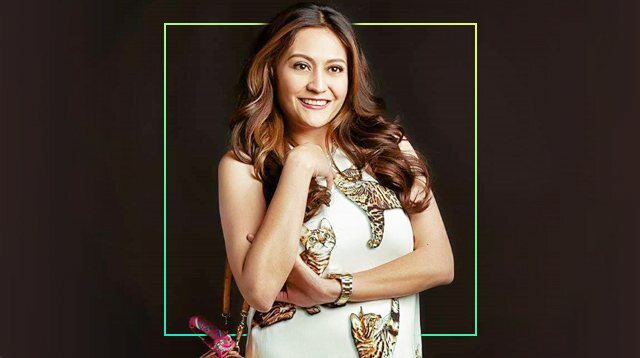 Aimee Hashim works closely with Marian Rivera, Kris Aquino, Liza Soberano, and more! For many celebrities, Aimee Hashim is the go-to girl for all things luxury. She is the woman behind Loveluxe Bags. Though the bulk of what she does involves personally shopping for her clients, Aimee is also a stylist and a friend. Have you always known you wanted to work as a personal shopper? Actually, my first job was in Rustan’s. I was hired as a Lifestyle Consultant for Platinum. Professionally, though, I’m a registered nurse. I only applied to Rustan’s because I was waiting for my board results. But I’ve always loved fashion. I read the Shopaholic series before I opened my medical books. That should have been a sign, really. After I resigned from Rustan’s, I became a Merchandise Manager for shoes at SM. I opted for freelancer work afterwards. What’s the industry like these days? Ang dami na talaga ngayon, especially online. I’m really happy because a lot of people see me as one of the pioneers in this industry. The truth is, because celebrities and socialites don’t have the time, I see this niche getting much bigger. What does it take to be a personal shopper? Anyone can call themselves a “personal shopper.” And there’s nothing wrong with that. I have nothing against it. To set myself apart, though, I’m more of a Lifestyle Consultant because I’ve had some training. That’s my edge over the rest of the sellers in this industry. I’ve been associated with a lot of brands and institutions, and I worked hard to build those connections. What do you think of fashion trends? Fortunately, most of my clients know what suit them. Because they’re in the public eye, most of the time, the [trend suggestions] come from the stylist. And I tell them to always go for the classics. If they do go for a trend, I try to make sure that what they want still fits their personality. It has to be something they’ll use more than once. How did you start working with celebs? It all started when Tita Bambbi Fuentes introduced me to Marian [Rivera]. It just skyrocketed from there. They usually ask me to look for specific things. When we get closer, that’s when I make suggestions. I let them take the lead. Which celebs do you work with the most? Marian Rivera, Kris Aquino, Liza Soberano, Alden Richards, Maja Salvador, Jennylyn Mercado, Kathryn Bernardo, and Maine Mendoza. What are the most popular brands among celebs? Hermes, Dolce & Gabbana, Gucci, Rolex, and Louis Vuitton! I love my Birkin bags! But my favorite bag right now is my Hermes Kelly 32 in fuchsia. For shoes, I love the Hermes Oran sandals. I have it in almost all the available colors. How do you make sure celebs don’t all end up having the same thing? When I buy something for a specific client, I don’t make it available to anyone else until they’re done with it or nagsawa na sila. I wait for them to post about it—I never post before them unless they ask.